Mr. & Mrs. Fred W. Noyes, Jr. are best known as the developers of The Historic Smithville Inn and the surrounding Towne of Historic Smithville. In 1951, Fred and Ethel Noyes on a walk through the woods found the original structure of The Smithville Inn, purchased the property and continued the tradition by restoring the building and serving early American dishes. Over the years Fred and Ethel found and purchased all of the historic buildings from all over South Jersey that you can now see today in the Village. They also created the Ram’s Head Inn in Absecon and were the founders and chief benefactors of The Noyes Museum of Art. Fred Noyes was born in Philadelphia in 1905. His early education was at the John Marshall School in the Frankfort section of Philadelphia, where he displayed an inborn talent for art and design. He pursued and developed his artistic interest at the Industrial Arts School of Philadelphia, the Pennsylvania Academy of Fine Arts and the Barnes Foundation in Merion, Pennsylvania. His paintings appeared in many one-man gallery shows and one of his paintings is owned by the Museum of Modern Art in New York City. Over 200 of his paintings are in the Noyes Museum collection. He served as chairman of the Galloway Township Tercentennial Committee and on the Board of Directors of the New Jersey Restaurant Association. He was also active in Kiwanis International, the New Jersey Travel and Resort Association, the Southern New Jersey Development Council, the Atlantic County Historical Society, the Greater Atlantic City Chamber of Commerce and the Association for the Arts of the New Jersey State Museum. farm. She was proud of the fact that her father’s great-great-grandmother was a full-blooded Native American and lived near the Mullica River. Under her father’s guidance, she learned the folklore of the region. From her mother, whose parents lived in Dresden, she acquired her taste for lovely things. At an early age, she began her first collection of primitive American folk art. Ethel served as Vice President of the New Jersey Restaurant Association, on the Governor’s Commission on the Status of women in New Jersey and on the Board of Governors of the Atlantic City Medical Center. She was a member of the daughters of the American Revolution, the New Jersey Historic Trust, the American Businesswomen’s Association and the Citizens Committee for National Library Week in New Jersey. She was named one of the 10 Top Business Women in New Jersey by the New Jersey Manufacturers’ Association and was given the Good Scout Award by the Boy Scouts of America. In 1996 she was inducted into the Atlantic County Women’s Hall of Fame. 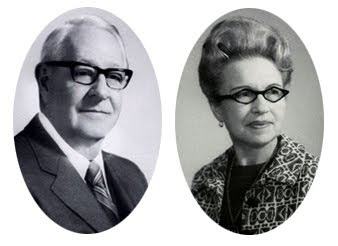 The Noyes’ established the Mr. and Mrs. Fred Winslow Noyes Foundation on June 8, 1973, with the intention of forming a museum that would reflect their interests. Upon the sale of the Towne of Historic Smithville to the American Broadcasting Company in the summer of 1974, the Noyes’ began plans for the museum. Those plans were delayed by Mrs. Noyes’ untimely death in January 1979. Mr. Noyes and the remaining trustees of the foundation saw the completion of the museum building and its inaugural exhibitions in June 1983. Mr. Noyes continued to oversee operation of the museum until his passing in 1987. Information from The Noyes Museum, http://www.tfaoi.com/aa/6aa/6aa33.htm and The Colonial Inn Website, http://www.colonialinnsmithville.com/history/index.htm. This entry was posted in Smithville Fun Facts and tagged Fred and Ethel Noyes, Historic Smithville, Noyes museum, Smithville. Bookmark the permalink.